I realized recently that while I put up a bunch of recipes for saisons and generally mention that I split off a carboy where I add Brettanomyces (brett), and frequently Lactobacillus (lacto) as well, I don't generally talk about these funkier and tart versions of the saisons after the brewday. So I figured I would put up a post on my process with these beers. Some of the stuff outlined below might be obvious, but I wanted to be basic enough that people just trying it out for the first time wouldn't be lost while those that have done many brett saisons will still find some useful stuff. Quick terminology: I'll use the term 'clean' to refer to a saison with only Saccharomyces cerevisiae (not including WLP644 'brett' trois, as I will call Sacch trois). This is a bit of a long post, but it's an even longer topic and I think this is a good start. Cask 200 at Sante Adairius. Tartness/sourness and brett yeast character fit naturally into the saison style. Historically Belgian saisons have been described as similar to lambics (see Phil Markowski's Farmhouse Ales). Many modern versions, both Belgian and outside of Belgium, are now brewed without brett and bacteria (and I can be a big fan of these when done well). The ones that inspire me the most have a beautiful and balanced brett and tart character and sourness from an extended mixed fermentation. I prefer my sour saisons to be milder on the sourness end than a lambic or many 'American Wild Ales'. I find this lower acidity, somewhere between a normal 'clean' dry saison and an aged lambic, to be extremely refreshing and drinkable. And I find that this level of acidity is much better when produced by bacteria in a longer fermentation than quickly by bacteria in a sour worting or sour mashing or by the addition of elevated acidulated malt (though I like those processes for less acidic 'clean' saisons, see pre-primary souring). I think I prefer the extended aging as it gives time for other flavor production and slightly higher degrees of attenuation which I find lacking in many pre-primary/kettle soured beers. (from Belgium and perhaps not all intentionally or consistently with brett and bacteria) Saison de Pipaix, and most anything from Fantome, Saison d'Epeautre (and from the US) everything from the barrel aged saison lineups of Upright, Sante Adairius, and Hill Farmstead. There is a common misconception that brett adds acidity, and that brett is what makes sour beers sour. It is important to note when discussing brett and sour beers that brett doesn't generally add much acidity. The acidity that brett can add is acetic acid (vinegar), which most people generally want to avoid. 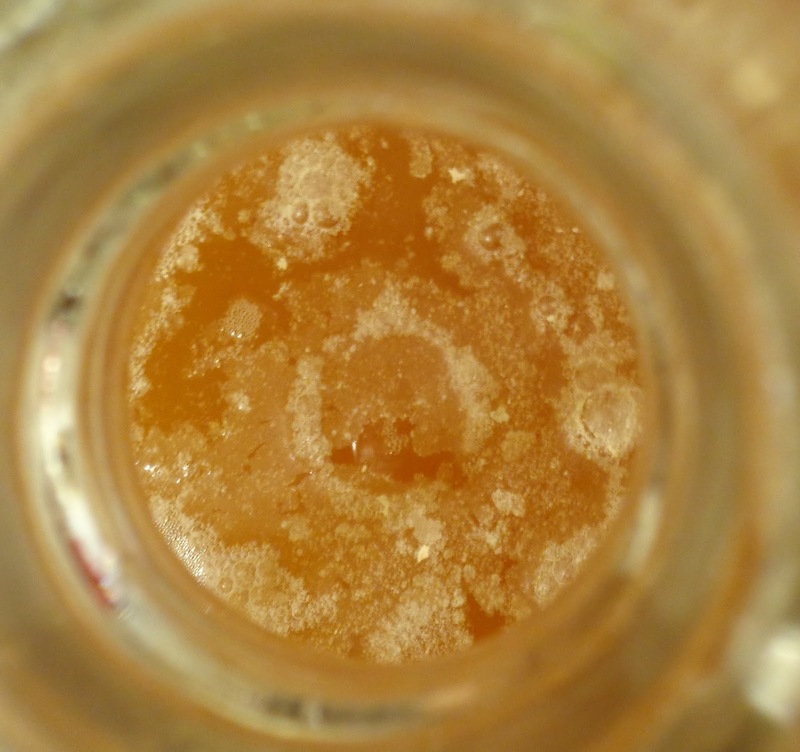 So beers with brett won't necessarily be sour beers (many are sour, but those also have bacteria). So if you want to make a sour beer with brett that isn't vinegar you'll want lactic acid bacteria. I'll treat the two (brett non-sour saisons and brett + bacteria sour saisons) together here. Not to try to confuse the potential differences between brett beers and sour beers that I've just outlined, but frequently the two are found together (I've never put lacto into a saison without brett) and having either brett or bacteria would lead to a saison that is not a classic 'clean' saison. I brewed my first brett saison with a good friend back in 2009, but due to insufficient time to dedicate to brewing/other priorities, shifting general brewing focus, and three instances of moving internationally since then (which provided great opportunities for studying but really got in the way of brewing), it wasn't until summer of 2014 that I really started focusing on brewing them with directed goals and thorough notes. Consequently much of this experience is in development. My viewpoints on a couple strains have already changed over this time and I expect they will continue to change as I try out more strains in the future. I'll be revisiting this post (and/or posting follow-ups) to keep it up to date with my thinking on mixed-fermentation saisons. I treat the hot side for saisons that I know will not be kept 'clean' the same as I treat clean saisons. Partly that might be because I generally split batches and do both with the same batch, but I have done the same when brewing an exclusively mixed-fermentation saison. I am not a fan of mashing higher for lower fermentability for brett beers. This slightly dated practice comes from earlier days of using brett and the thinking behind it was twofold: that you provide more that the sacch can't ferment and it is therefore left for the brett and bacteria and/or you would produce extra unfermentable material to avoid a thin beer with brett. Since brett will ferment longer chain carbohydrates, the latter isn't really true. While the former may be true, I think this advice comes from before it was stressed that the ester and phenol activity of brett is independent of saccharide metabolism. This means that brett doesn't need sugar to change the beer. I really like Chad Yakobsen's viewpoint on body in brett beers (as I've talked about in this post). He looks to add body from proteins in grains like oats, spelt, rye, and wheat rather than by dextrins. So if you want to build body in a brett saison follow this approach. I find that most saison yeasts produce a beer with a bit of a deceptive body (more than the low FG would suggest, presumably from glycerol production) and therefore haven't worried too much about building body into brett saisons. Mashing high to provide unfermentable sugars may still be a good approach and some folks recommend it, but I think it works better if you are prepared to spend a lot of time (such as in lambic-oriented beers). For saisons I want a faster turnaround and I don't think the beer will be best served by such a prolonged mixed fermentation. Racking a batch of saison into a barrel with ECY-34. I've generally had good results pitching everything in a mixed primary. Sometimes when using a brett blend that I am not as fond of in combination with more finicky sacch strains I have been less pleased with the results. This may be due to the brett strain choice as much as/more than when I pitched it. If the sacch goes trough a healthy and reasonably complete primary fermentation (and I don't see a benefit in trying to make the sacch do anything less than that) then I think adding brett and bacteria in the primary is a good plan. I may then leave it on the cake or rack it to secondary (hazy and still with yeast and bacteria in suspension), depending on how long I plan to leave it and how much hop material there is. Generally I just leave it as I'll bottle it in a few months anyway. As with any bottling any beer, you'll want the beer to be done fermenting before bottling it. This is a greater concern when working with brett and heterofermentative lacto. Fortunately some of this is alleviated by working with highly attenuative sacch strains, which will do a good job of dropping the gravity down to a level where you are pretty safe to bottle even if the brett and bacteria take it further in the bottle. I generally bottle at 2-4 months from brew day unless I am adding fruit or somehow changing the base. I may go longer if I feel it isn't ready or if I am barrel aging it, but generally this is an appropriate time frame to start developing the flavors I am looking for. The beers definitely continue to develop in the bottle. I bottle in high pressure bottles so that takes away the more pressing potential carbonation related issues (there is still the possibility of high enough carbonation that the bottles gush). They don't get excessively carbonated, but I generally prime to the low end of high (2.7-3 volumes of CO2) knowing that the beer may develop a bit more carbonation and also that this is not so low that I will feel the beer is undercarbed. A drop of 1 gravity point will add about 1/2 volume of CO2, so it doesn't take much additional fermentation to increase the carb by a fair amount. I generally haven't been interested in some of the classic Belgian bretts (B. lambicus and B. brux) for brett saisons. This is partly because I am more familiar with them than a lot of other strains and partly because I'm not sure that they'll be the best pairing with a saison. As I mentioned above I am looking for more delicate bretts to pair with a saison. Maybe they would work well as a background addition to a blend of bretts and bacteria. But in order to get to that point I need to come up with that brett blend. So that's sort of what this is - trying out individual strains/blends, bottle dregs, and blends of those to build toward a 'house culture'. I think going with a blend of bretts here will give the more rounded/balanced character that I am looking for so with many of these brett isolate trials I am thinking about what I like about the brett as well as how I think it would work in a blend. I could easily see myself using different blends for different beers depending on what I am going for, but that has to start somewhere. And I'd like to approach coming up with these blends by trying a bunch of bretts selecting for my favorite and really understanding what they do individually before going into a blend. WLP645 Brettanomyces claussenii - Upright uses a lot of Brett c. in their barrel aged beers and their barrel aged saisons are among my favorites. So obviously I was really excited to give this strain a go with my saisons. But initially I wasn't very happy with it. I don't have a very good description for it but it was weird. At a couple of months it was strangely sweaty (and this was an improvement on the previous). But it is starting to turn into something really pleasant. It's subtle and has a nice complimentary and different fruityness. Not really 'funky' but it definitely works well with a rustic (or rustic-inspired) beer which is more what I am going for. I also find this is one of the weirder strains when it comes to body. I find that it can be aggressively flabby. Thin and oddly viscous at the same time. This too seems to clear with time. I could see this as being a background component in a brett blend in the future. Or even as a main component with the right background strains. I like what this strain gives after waiting out the strange months. It's not fitting for a beer I want to drink younger as I'd be forced to wait through a couple months of sweatyness, but I do think it adds nicely when it settles down. Yeast Bay Locristi and Wyeast Lacto b.
Yeast Bay Lochristi Brett blend - Initially I was also not as excited about this one. I'm starting to come around, but it is still something I'm planning on (mostly) taking a break from. I find it gives a nice lemony flavor with some depth to it, which I like alright in the right context. But there is also something phenolic/plasticy about it. I had a friend describe it as fresh vinyl, like from a new beach ball or inflatable toy. I completely agreed and I have definitely found that with some Lochristi beers. I think with a bit more time this goes away and the lemon comes forward. Overall that lemon is cool but not what I'm looking for. As a contributing note I think I might like it, but I have to figure out how to get it without the beach ball. One instance where I think this yeast shines more is when making a lemon beer where you want the lemon to be prominent and complex. I make a lemon saison (zest and juice of 1 lemon in ~3-4 gallons) with this yeast that I quite like. It is not subtle lemon but I think it works well with the saison and it isn't a sweet fruit beer. The Lochristi lemon (which isn't 1D) combined with both the zest and the juice makes for a rounded lemon character that as a cool depth to it. That said, in the latest batch at bottling I preferred the version which had Amalgamation to the one with Lochristi. Yeast Bay Amalgamation blend - I much prefer this to the Lochristi blend. I find it gives lots of citrus oriented fruit. If I have any reservations about it, it would be that I find that there isn't a lot of depth beyond the great citrus and tropical fruit so this combines with the already estery saisons to make a bit of a fruit bomb. I could see with all the bretts in this blend that it would age very nicely and add a lot of complexity, and I haven't given it as much aging time or as many different tries yet. So for now this is looking pretty promising but I have some mild reservations. WLP 645 Brett c. and WLP644 trois with Wyeast Lacto b.
WLP644 'brett' trois - I moved away from using this in saisons about the same time that the news broke that this is actually a sacch strain rather than a brett (see here and some more info here). My decision to move away from it in saisons happened before this identity info came out and was independent of the classification of WLP644, but I found the timing funny. The main reason that I'm not interested in exploring this further (for now) is that it just doesn't give the character I'm looking for in a brett saison. I find its fruityness pleasant but I generally prefer a well fermented Wyeast 3724 beer (either 3724 solo or as the main component of a blend) to the same with trois. Sometimes I find the fruity character of 644 a little flat and it takes away from the sharpness I like in saisons. That's not to say that it can't be good. I've made some that I enjoy a fair bit and I'm sure there are many great saisons with it out there. But part of this search is not settling for good and looking for the best bretts for a saison. I'm looking for something that enhances the characteristics of a saison by doing something a little different from but complimentary to what the main saison yeasts are doing rather than providing another rather similar character (especially when 3724 is generally more appealing to me). I think WLP644 can have a place in brett saisons, but for now I'll be looking elsewhere and if I do come back to it, it will be as a minor contributor to a blend. ECY-34 Dirty Dozen brett blend -This is pretty young in the assessment stages but so far I am liking it. One beer is conditioned and in bottles with ECY-34 and it seems to add a subtle fruityness (tropical with a bit of a shampoo-like floral/fruit but in a good way) and a great earthy/more classically 'funky' character (but in a wonderfully subtle way). Maybe more on the hay/straw/earth side of barnyard than the goat/horse side. It wasn't as aggressive out of the gate as I was expecting, but perhaps more time will let that come out. But I like what it is adding. The bottled beer i have with ECY-34 also seems to have more of a roundness to it in the mouthfeel, but that could easily be from a factor other than the brett. I'll keep that in mind when looking into future ECY-34 beers. Although it is too young to tell for sure and I haven't replicated the characteristics with other beers, this seems to be hitting all the points for what I am looking for in a brett blend for saisons. Wyeast 5223-PC Lactobacillus brevis- I really like this lacto strain and I wish it was available all year. I've kept a starter going with it so I keep access to it and I'm oping this lasts until the next release. I find over the course of a few months it develops the level of acidity that I am looking for in a 15-25 IBU beer, which I am really happy with. The fermentation character is otherwise pretty clean and I don't notice any odd flavor contribution from it. My starter is a bit green apple-y, but I suppose that's not surprising and that doesn't translate into the final beer. Crooked Stave - This is the dominant yeast in the 30 gallon barrel I share with two other homebrewers. I really like the complex fruit forward character of these bretts and are quite happy with them. I feel like I want to come up with a blend similar in feel but different for myself, but I defintiely like what these bretts are doing and would not be opposed to adding them to a house blend. These blends are either waiting to be used or in use but not yet bottled. ECY-04 Brett anomala - I have some stuff going with ECY-04 now but not far enough along to give a proper run down of how I feel about it. ECY-30 Brett nardensis - I have a culture in the fridge but haven't put it to use yet. BSI Brett drie - I've done one beer with this and am rather happy with the results, but I need to spend some more time with it. Yeast Bay Beersel brett blend - Another one that I've only done a batch with so far, but again rather happy with it. Upright Flora dregs - As mentioned above, Upright produces some of my favorite brett saisons. Perhaps i'm not really getting anything from their beers that I couldn't buy from a yeast company but I don't really see harm in adding it in. I have many other dregs hanging around but I'm not sure that they will fit as well into saisons as Upright dregs do. I have one beer on the go with these but it is too early to evaluate it. This is an awesome post! From your description, I think you and I are on almost the exact same page where sour/brett saisons are concerned. I've actually embarked on this exact same process. I've heard a lot of people really like GigaYeast and Omega for lacto, have you tried either of these? Great post. Any tasting notes on ecy04 yet? I have a vial that needs to be used up but can't find much information other than a few people disliking it as a primary yeast. I was thinking of maybe doing a kettle sour with a lacto starter and then pitching ecy04 after a few days. Thanks Mark! Sorry, no experience on ECY-04 yet. I'll let you know, when I do but I expect it will be a bit. I feel like I've heard in general that people like using Brett A in primaries, but it may have been a different strain of Brett A. Are you planning on using any other strains or pure Brett A? I think brett blends (like Yeast Bay or ECY offer, or make your own) might work out with a more complex/developed final product if you are only using the Brett A. I haven't been very happy overall with my single strain 100% brett beers and many commercial ones I've tried. Have you had any results with the ECY-04 or brewed with the ECY-30 yet? Sorry if it's in another post. I'm catching up! I plan to pair one of the two with Omega Lacto blend and my kept culture of ECY-08 to see what comes out. 08 is such an earthy/citrus blend for me that I want to pair a Brett and a bit of lacto sourness with. Thanks for asking. Unfortunately progress on this has been slow due to temporary international moves. Nothing with ECY-30 yet. I did one 100% ECY-04 beer and I didn't much care for it (though it was also a bit of a second thought and perhaps with more care it would have been better). I've sued ECY-04 in blends and it worked alright, but nothing to be able to look at it in on its own. I think it has a greater tendency to form acetic acid, but that's about all I can offer for now. I'm checking in on the ECY-34 beer mentioned in this post and I'm pretty happy with it. Subtle and well balanced. Sweet, sounds like some good beers planned! I've heard good things about ECY-08 (and had some nice beers with it) and hope to get some beers with that going in a few months. I look forward to hearing how you beers go! Great blog! What kind of final pH levels are customary in these sour/tart saisons? Thanks Bill! And sorry for my delayed response. I was at sea without internet and just got back home yesterday. I'm afraid I won't be able to be of much help here. pH doesn't correlate well with perceived acidity so I generally don't measure it. For now I mostly work by taste for adjusting process to hit acidity levels and/or blending. I'm struggling a bit to come up with commercial examples that I think match well, but here are some ideas. Jester King beers like Petit Prince around the 6 month age mark or so can have a comparable tartness. And stainless aged beers from Sante Adairius and the more mellow ones from Holy Mountain can be comparable. Upright has some barrel aged saisons in this realm as well. Overall the targets I have for my mixed-culture saisons are much more toward light tartness than sourness. Hope that helps and sorry I couldn't give you a better answer. And thanks again for following the blog and for the question! Thanks Dave for the awesome info! I really appreciate it.